This event is a DoD wide endeavor and will feature recruiting booths and displays throughout the large shopping area. All proceeds will go back to the Rescue Special Functions (out of the 920th at Patrick) and the Military Affairs Council which supports all 5 services. All money goes back to our families going through hard times or illnesses and also support our family day that we host annually and other morale events. Last year some funds went towards paying plane and hotel costs for a spouse whose husband had to have emergency surgery while in training in Arizona. Funds also went towards a Caisson for the funeral of the previous Operations Group Commander who was killed in the area while riding his bike. live music, 21+ tent , community f air and silent auction to follow! For more information, please Email: runarmedforcesday5k@gmail.com or call Robin at 703-217-4990 . 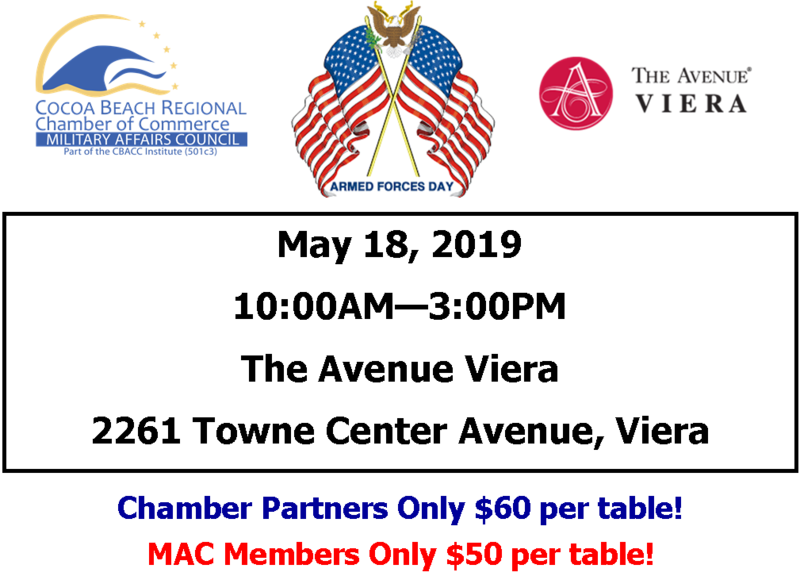 Proceeds go towards the Military Affairs Council and the rescue special functions committee to support local military families.